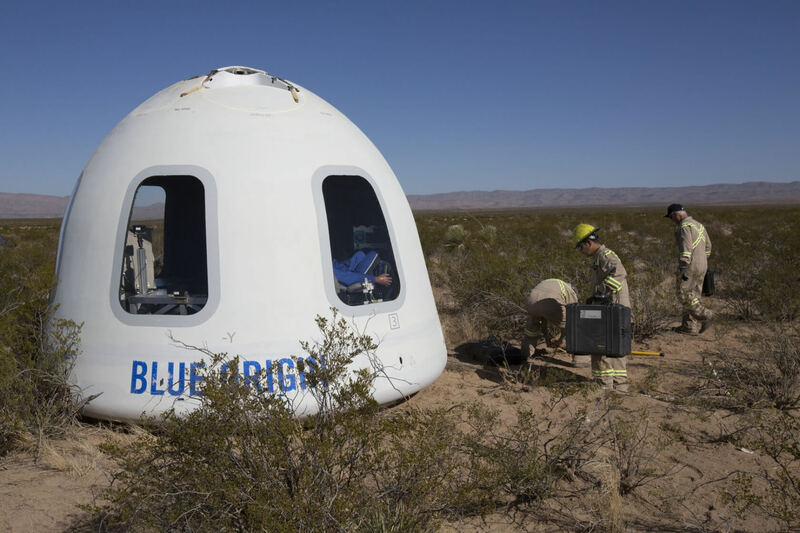 It’s been 14 months since Blue Origin, Amazon boss Jeff Bezos’ private spaceflight company, underwent a major test flight, but that dry spell has now come to an end. The latest version of its New Shepard suborbital spaceship just completed a successful launch and landing at the company’s facility in West Texas. Bezos himself tweeted that this was the first time version 2.0 of Blue Origin’s crew capsule has been tested. It even included a test dummy seated inside the cabin. “He had a great ride,” wrote the CEO. In its Mission 7 fact sheet, Blue Origin writes that the flight took off at 10:59 a.m. CST on Dec. 12 and lasted a total of 10 minutes and 6 seconds. The booster hit Mach 2.94, which is almost three times the speed of sound, as it traveled upwards. After reaching an altitude of 322,032ft, it proceeded to descend. On the journey back to the planet’s surface it hit a maximum velocity of Mach 3.74. The new capsule comes with “the largest windows in space” to offer the best views for those potential space tourists—they measure 2.4 feet wide and 3.6 feet tall. Assuming it doesn’t get delayed by any legal requirements, Blue Origin hopes to send people into space by early 2019, though there’s still no word on how much tickets might cost. Next year could see flights taking place with test pilots on board as preparation for the arrival of paying customers. Blue Origin also successfully tested its BE-4 rocket engine back in October, which will be used to power the New Glenn, an orbital-class rocket it has been working on for four years.